The rescue of two private lenders has raised fears about the country’s banking sector. Savers have flocked to state-owned Sberbank and VTB, which have seen deposits swell by 1.2 pct and 18 pct, respectively this year. The tumult could leave the pair with better lending margins. 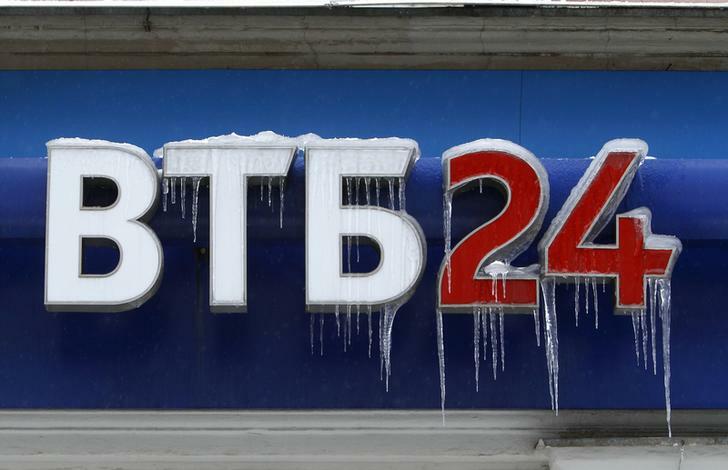 A sign displaying the logotype of VTB Bank, covered with icicles, is seen above the bank office in central Moscow. B&N Bank asked for help from Russia’s central bank on September 20. Russia’s 12th-largest lender by assets could have a $6 billion hole in its balance sheet, Reuters reported on September 21. The rescue comes less than a month after the central bank bailed out rival Otkritie, formerly the country’s biggest private lender. Otkritie could have a hole in its balance sheet as large as $6.9 billion, according to a central bank deputy governor.